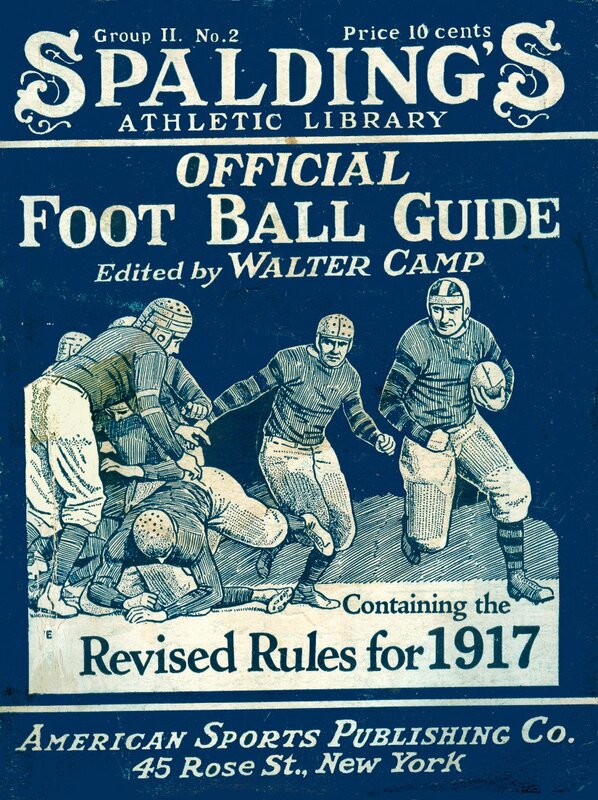 This summer, I began reprinting Spalding’s Football guides for the years relevant to the Carlisle Indian School football program through Tuxedo Press. Carlisle played intercollegiate football from 1893 to 1917 (a 1918 schedule was arranged but never played due to the closing of the school). 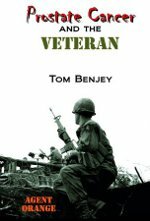 These books contain a plethora of information useful to historians and rabid fans. Originals are expensive and fragile, factors which limit their utility. 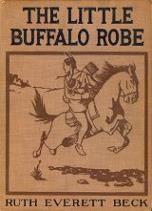 Inexpensive paperback reprints that can be abused are much more practical for non-collectors. Reprinting these books has been more complicated than expected. When someone asked me if a particular book was the eastern or western edition, I couldn’t answer him. Not only didn’t I know, I couldn’t tell by looking at the book. Looking at other years’ editions didn’t help either. 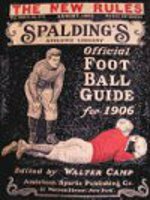 David DeLausses, administrator of cfbdatawarehouse.com, has a nearly complete collection of Spalding Football guides but didn’t know how to tell the eastern and western editions apart. 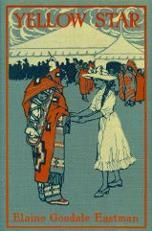 He did know that Spalding started printing the two editions in 1906. Prior to that, Spalding published a single edition covering the entire country. I bought an original 1917 Spalding guide but couldn’t tell which edition it was and found no one who could. 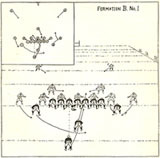 While preparing the 1917 book for publication, I noticed a small E on the front cover in a white block just below a drawing of players running a play (see below). “This is a great find. From 1911-1918 Spalding Guides I can see either an “E” or a “W” on the front cover. My 1917 Guide has a W. I will be first in line to get a copy of your 1917 “E” version. We still don’t know exactly what the differences in the two editions are, but comparing the two 1917 editions page by page should shed some light on this mystery. An article by Bob Barton in the November 2011 issue of the CFHS newsletter, among other things, discusses the elevation of Penn’s football program under George Woodruff’s leadership. Given the treatment that Woodruff received from Sally Jenkins, it seems necessary to present a more balanced view of his career. George Washington Woodruff (1864-1934) attended Yale University in the late 1880s, graduating in 1889. While at Yale, he played on the football team, rowed crew and ran track. In 1892, he enrolled in law school at the University of Pennsylvania and took on the duties of coaching football and rowing crews. (One assumes that he initially took on these jobs to support himself while in law school.) Yale supporters did not take Woodruff’s shift of allegiance well as Woodruff had been a guard for the Eli. They also didn’t like the change in competiveness. The eleven games played between Yale and Penn between 1879 and 1892 all ended in victories for the Eli, often in a rout. Scores in Yale’s favor of 60-0 and 48-0 were quickly reduced by Woodruff to 28-0 and 14-6 in 1893. 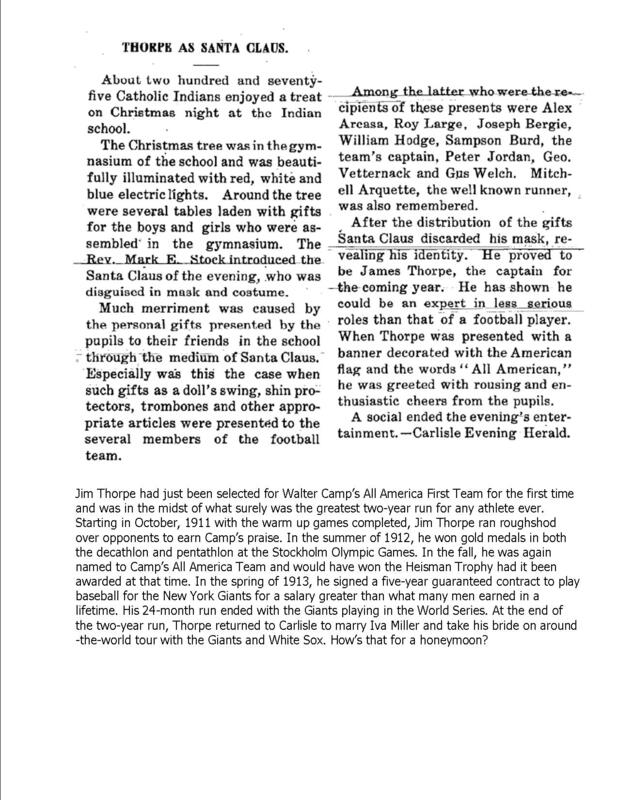 Claiming that Woodruff had recruited ineligible players although the rules weren’t in place before the 1893 season started, Yale broke with Penn and didn’t play them for 32 years. That didn’t seem to bother George much as his 1894 team went undefeated with victories over Princeton and Harvard and was retrospectively named National Champions. He repeated the feat in 1895 without Princeton, who remained off the schedule until 1935. Not only did George Woodruff bring the quality of Penn’s football to the highest level, he maintained it at that level, going 124-15-2 for the ten years he coached the Quakers. 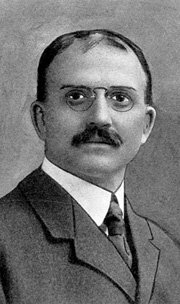 After dropping out of coaching following the 1901 season, he returned to the arena twice: first in 1903 to lead the Illini to an 8-6 season and again in 1905 to go 7-2 with the Carlisle Indians. His charges beat Army, Penn State and Virginia but lost to Harvard and Penn. 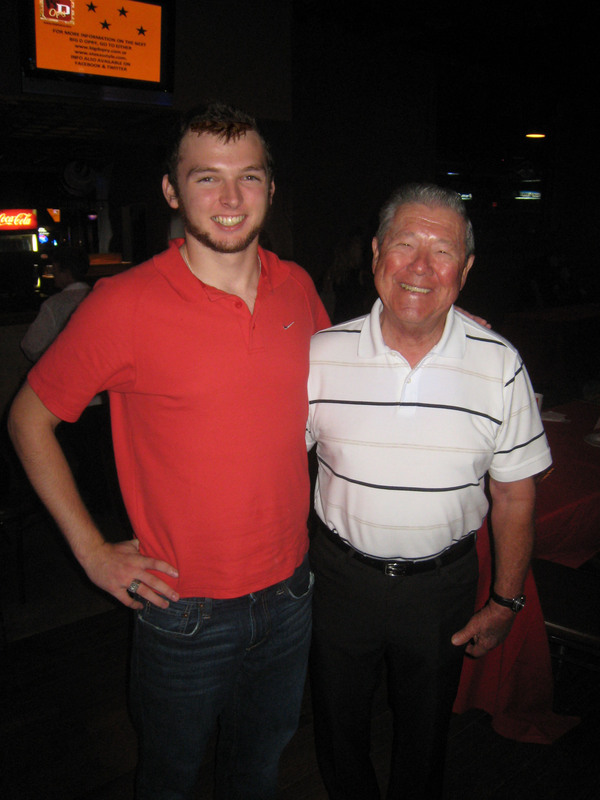 Woodruff’s .885366 winning percentage was far above the minimum required for induction into the College Football Hall of Fame. 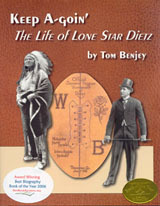 One of my earliest blogs, posted on April 4, 2008, was titled “Deerskin Paintings.” The post included a discussion of a pair of paintings done by Lone Star Dietz on deerskin but included no photos probably because I didn’t know how to post them at the time. 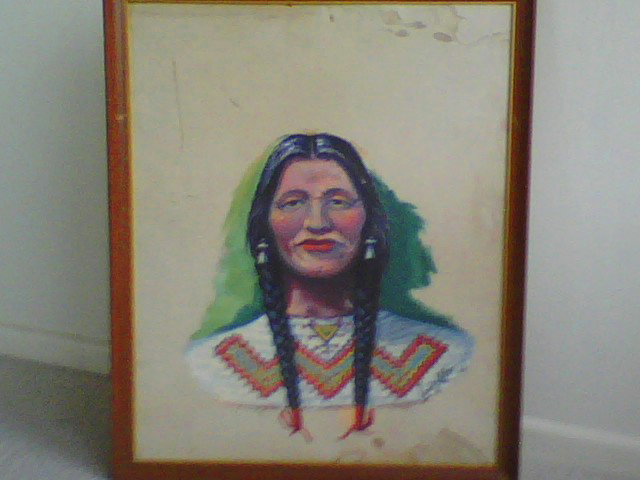 Today, Barr Shriver, the son of the people for whom Dietz made the paintings, emailed me photos of the paintings to be posted on my blog. He does not want to sell the paintings, so don’t bother him with offers. If I owned them, I wouldn’t sell them, either. Photos of the two paintings can be found at the bottom of this post.